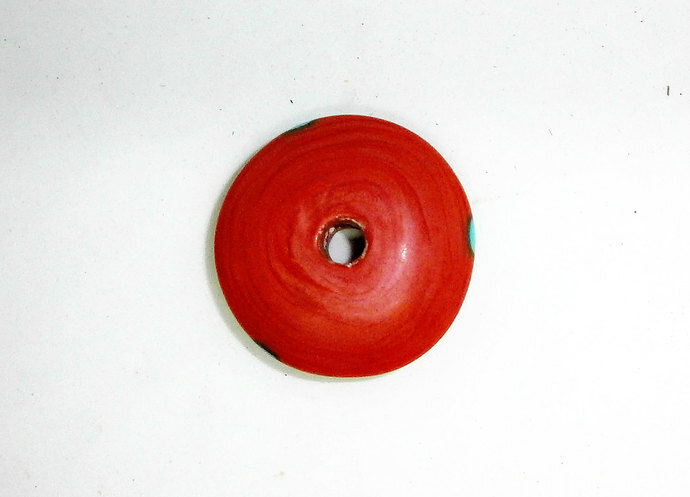 This is one of my bigger whorls in a delicious Coral colored Glass. 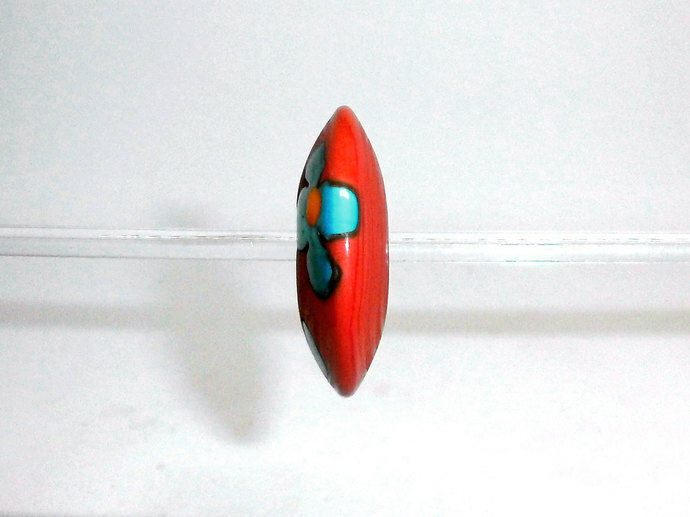 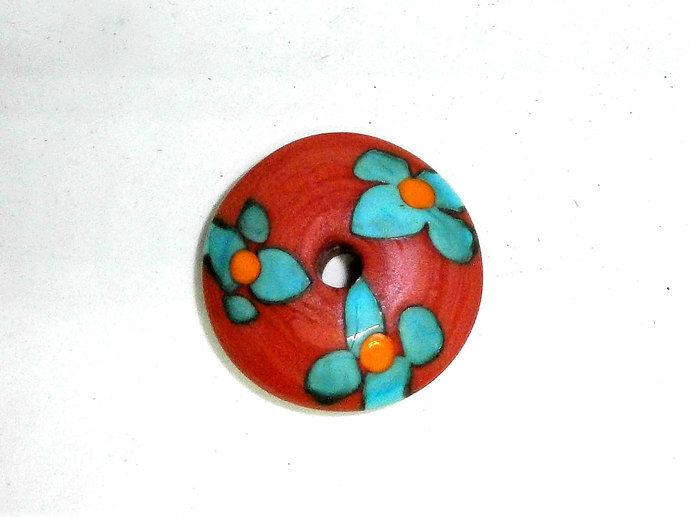 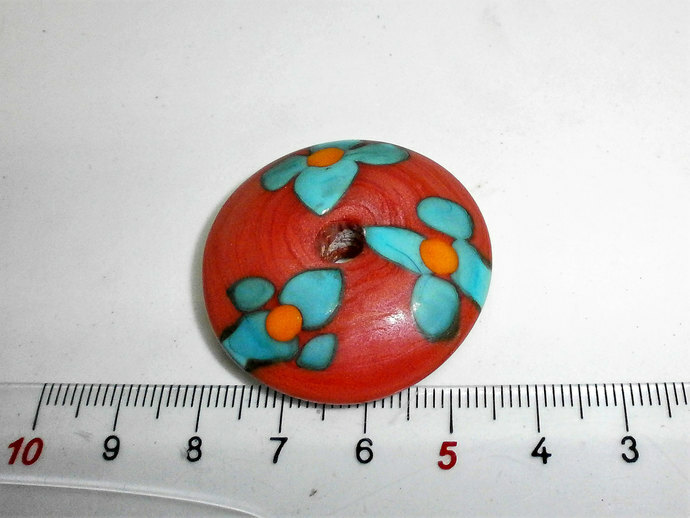 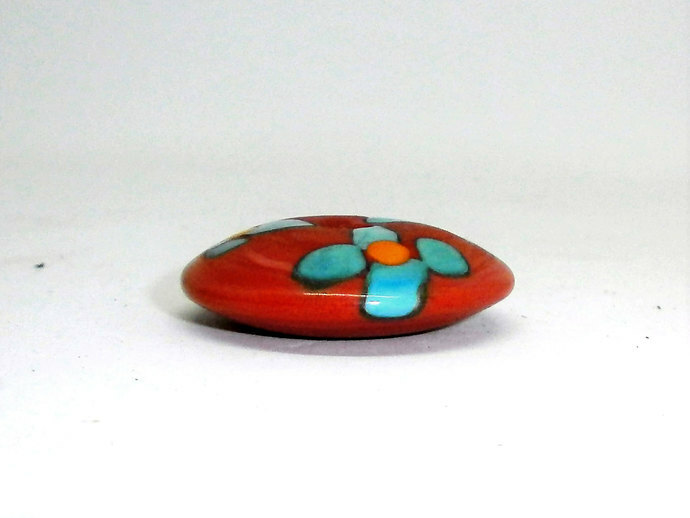 She is 35mm in Diameter and been made with a Coral Glass base decorated with Turquoise Blue Glass abstract flowers with Yellow centers. 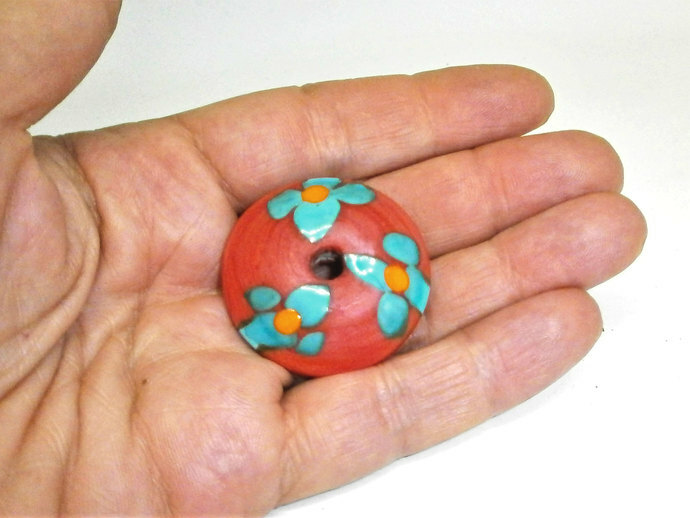 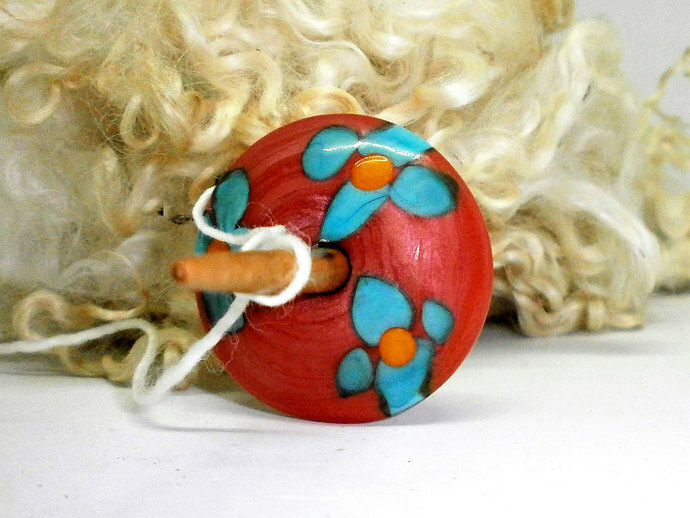 Weight: This whorl weighs 18 gms.